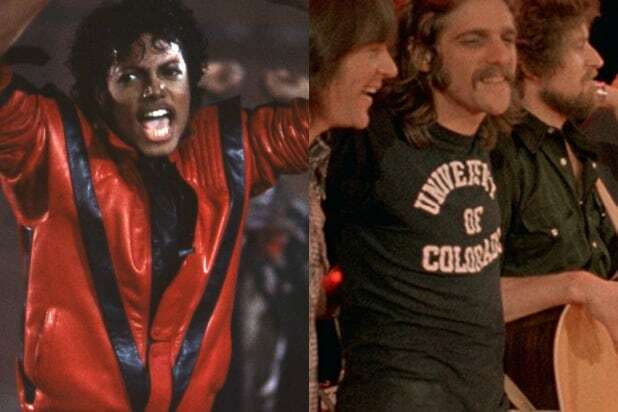 It’s a “Heartache Tonight” for Michael Jackson fans: The Eagles’ “Greatest Hits 1971-1975” album has surpassed Michael Jackson’s “Thriller” to become the No. 1-selling album of all time, the RIAA confirmed to TheWrap. The Eagles album, which was released in 1976, is now 38x platinum — that’s five more times than “Thriller.” Why such a wide gap? The last time RIAA tallied sales for “Greatest Hits 1971-1975” was in 2006, when it came up with 29x platinum. Sales and streams for “Thriller” were last updated last year. “We are grateful for our families, our management, our crew, the people at radio and, most of all, the loyal fans who have stuck with us through the ups and downs of 46 years. It’s been quite a ride,” Eagles singer Don Henley said in a statement sent to the Associated Press. Henley & Co.’s “Hotel California” is now the third top-selling album ever at 26x platinum. In the days before streaming, the RIAA’s (The Recording Industry Association of America) platinum status meant an album or single sold one million copies. In 2013, the company started to incorporate streams from YouTube, Spotify and other digital music services. These days, 1,500 streams of an album are equivalent to one album sale. Ten song downloads are equal to one album sale.